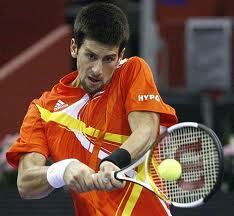 Djokovic has a perfect record of 24 wins and no defeats in 2011. He has been forced to pull out of next week’s Monte Carlo Masters because of a knee injury. 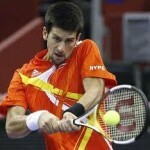 He defeated world number one Rafael Nadal last week in the final of the Sony Ericsson Open in Miami. Djokovic is hot on the heels of world number one Nadal in the rankings but will now miss an opportunity to close the gap in Monaco. Djokovic has yet to confirm the extent of the injury to his knee or when he expects to return to action. Nadal, Roger Federer and Andy Murray are among those scheduled to play in Monte Carlo.